Acquisitions, reorganizations, expansions and executive changes have created a renewed emphasis in building persuasive presentations that result in YES. Innovation is how we make money from creativity. Today it's all about stability and profitability. Presentations make or break almost every selling or sharing opportunity. Presentations require flexibility, dexterity, market knowledge and speed to address the nuances of evolving trends and economic reality. As the old adage says..."You don't get a second chance to make a first impression. It's like a piñata. People take a swing at it, while blindfolded. They swing wildly at the paper-mache donkey to retrieve the candy. Often they get confused and dizzy, quickly becoming disoriented at where to strike. It's even more difficult when there's someone pulling the piñata up and down, back and forth. 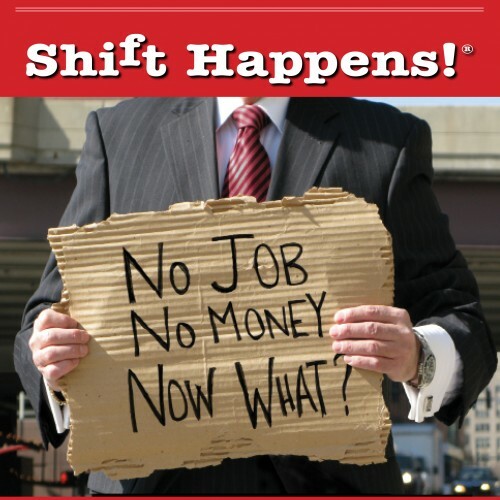 just like business life...Shift Happens!® "Getting To Yes" lifts the blindfold and casts an eye on shifting thinking. In an era of business transformation, digital disruption, and a technology revolution there are massive shifts in thinking. This presentation helps you anticipate, rather than react, by breaking through borders and conventions using tips, tools, and techniques that may be implemented immediately. There is a trend and shift in consumer preferences that reveal they welcome additional choices and customization and premiumization that fuels frequent shifts in thinking. If you want to smash the pinata and strewn candies all over the place consider re-creating these shock-and-awe strategies that deliver positive responses from your target audience this presentation will help you to understand how to leverage change and seize new opportunities.